On June 5, 1856, a committee from Peoria Presbytery, consisting of the Rev. Messrs. D. F. McFarland, William A. Fleming and John C. Hannah, met with a group of local people in the sanctuary of the newly established Methodist Church for the purpose of organizing a Presbyterian Church. Mr. Andrew Rodgers was elected, ordained and installed as Ruling Elder. Messrs. M. Bush, John Bodine, George Greigg and Levi Richardson were elected trustees for one year. 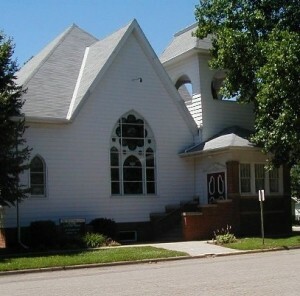 Following a three-year struggle, the church was reorganized as the First Presbyterian Church, and James E. Marquis became the first regular pastor. William Simpson, George L. Lucas and Joseph Warne were elected Ruling Elders. A building was purchased from the Congregationalists in Newburgh and moved to the village. It first stood on the tract of land now known as West Park, but in 1877 it was moved to the southwest corner of West Cypress and North Lilac streets. In 1891, this building was sold and moved to the southwest corner of South Rose and East Hawthorne, where it was used for many years for commercial purposes. On April 5, 1893, under the pastorate of the Rev. W. H. Mason, the Session decided to erect a new house of worship with their motto for the project, “Build only what can be paid for before dedication.” Thus on January 7, 1894, the Clerk of Session wrote in the Sessional Record that the new edifice, together with furnishings, had cost $7,071, and all bills were paid. During the pastorate of Mr. Mason, a manse was built directly south of the church, but there is no record of its original cost. After 1964, when a new manse was built at 102 West Cypress, the old manse was converted into a church house. 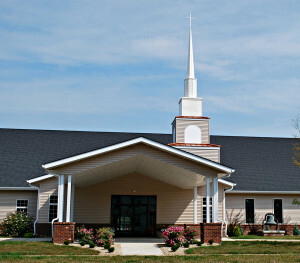 The church had been remodeled several times. In 1915, under the pastorate of the Rev. B. Y. George, Mrs. Anna C. Brooks left a bequest which made possible the installation of a memorial pipe organ. In order to accommodate the new instrument, it was necessary to build a small room on the south side of the building. In the summer of 1954, the organ was rebuilt and electrified at a cost of $4,350. During the pastorate of the Rev. David W. Barclay, the reception room at the main entrance of the sanctuary was enlarged. In the summer of 1937, under the pastorate of the Rev. Charles Thorne, the congregation decided to build a kitchen and dining room at the west side of the church; and on June 23, 1938, this addition, which cost $2,483, was dedicated. In 1952, the board of Deacons was created with the purpose of calling on the shut-ins and assisting the pastor where needed. In the fall of 1956, the centennial year of the church was observed with a series of special services, a banquet and a centennial pageant. Through the years, women’s organizations have contributed greatly to the church programs. First and oldest was the Ladies Industrial Society, which no longer exists. In 1974, when a house at 204 N. Lilac was purchased to serve as a church house, the old manse was sold and moved to 208 Cedar Street where it now serves as a private residence. In 1980, the basement of the church was completely torn out. New classrooms, a complete new kitchen, restrooms, storage closets and a new dining room were added. Upstairs, a new office, library and pastor’s study completed the project. The construction totaled $177,568.49. Following the renovation, the 204 N. Lilac house was demolished. In 1996, the house on the southwest corner of the block was purchased. In 1997, it was sold and moved to 100 Siwash Drive. The purchase gave the church ownership of the entire block, except the northwest corner lot.